*Note – this post contains affiliate links. Glitter. You either love it or hate it. Of course I loved it when I was a kid. Sparkling shimmery things were magical and princess pretty. Now that I’m a boring grown up I think glitter is messy and toxic. The few times I have allowed my four-year-old to use craft glitter, I’ve regretted it. The stuff gets everywhere. It ends up in the kitchen sink, on my six-month-old’s forehead, trapped in the carpet. If you’re a clean freak like me, it’s a nightmare. Today, however, I’m grateful for glitter. Glitter saved the day. All morning my little girl complained about going to kindergarden because she was ‘scared’. She is going through a scared-of-everything stage. Trees, shadows and being alone are all scary. At kindy, she is scared of a boy who chases the girls. I’ve seen this boy and he doesn’t look like a thug. He gives the best smiles in kindy photos and he’s got angelic blond hair. When I reluctantly shared my concerns with the kindy teacher she wasn’t worried and reminded me that my daughter would encounter many challenging social situations in school next year. Nevertheless, the irrational fear of the boy remains. We’ve found distracting her is the best way to ease her distress. So as we drove to kindy we sang fairy ballet songs. We arrived at the centre and unpacked her lunch. It was time for me to go. I waited for the tears, the iron grip on my sweater while I juggled the baby and tried to escape through the gate. But those words, “I’m scared”, didn’t come. Because on the play table there was craft glitter. Six small containers of it. It was like a magnet attracting all the little girls. Their little hands sprinkled the jewel-like dust on paintings. What a peaceful scene. “Bye darling” I said as my daughter sat down and started painting. “Bye”, she replied without looking up. No tears, no fears, just creative contentment. I heaved a sigh of relief and made a hasty exit, doing a happy dance on the inside. Glitter isn’t so bad after all. Maybe I’ll have to re-stock my supply of craft glitter. 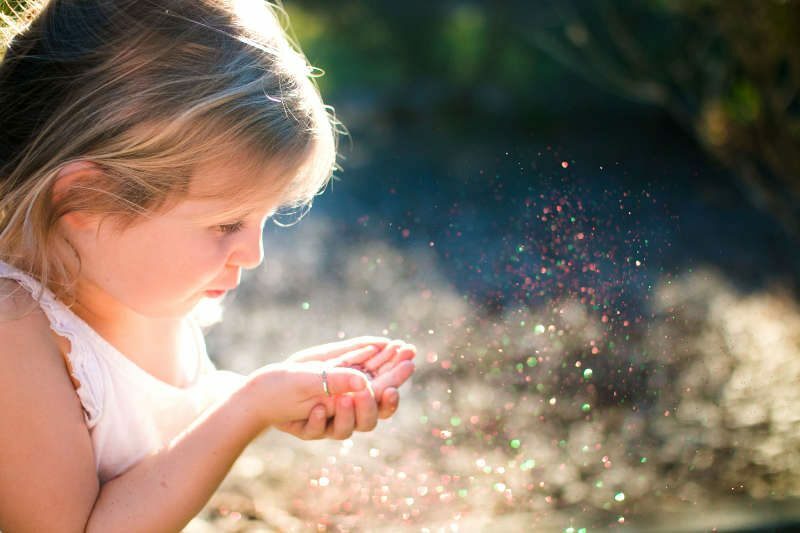 When the scary thoughts come, I can brandish a container of shimmery pink glitter and all will be well in the world. In case you’re wondering, there are mess free alternatives although they aren’t quite the same. We love Melissa & Doug mess-free glitter scenes . They include glitter sheets that you press on to scenes and to create a glitter effect. 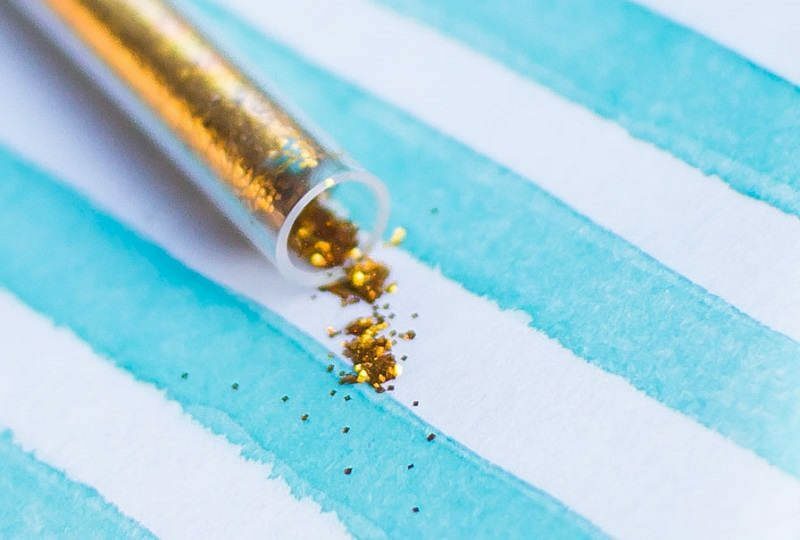 Another option is to use, glitter pens, glitter glue, glitter stickers or glitter paint such as Crayola glitter paint . My little girl enjoys using all of these. Mummy’s happy too because there’s no glitter dust floating around the house.